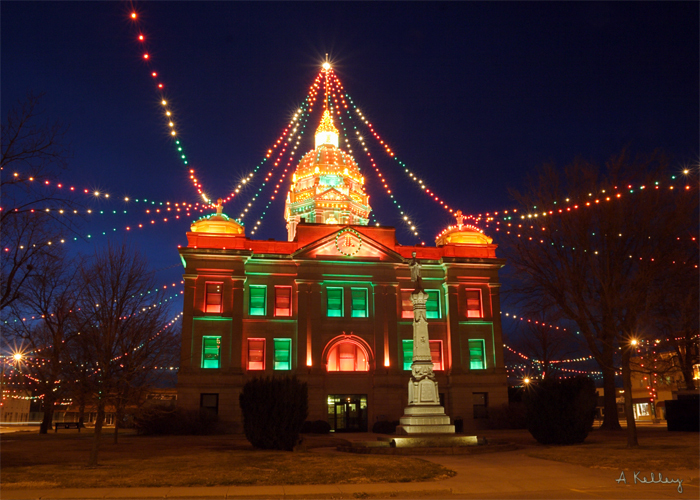 The lighting of the courthouse began in 1915. There are approximately 12,000 bulbs that light the courthouse and the square itself. Every year, the “Light of the World” Christmas pageant is performed in the square and is free of charge to any who attend. 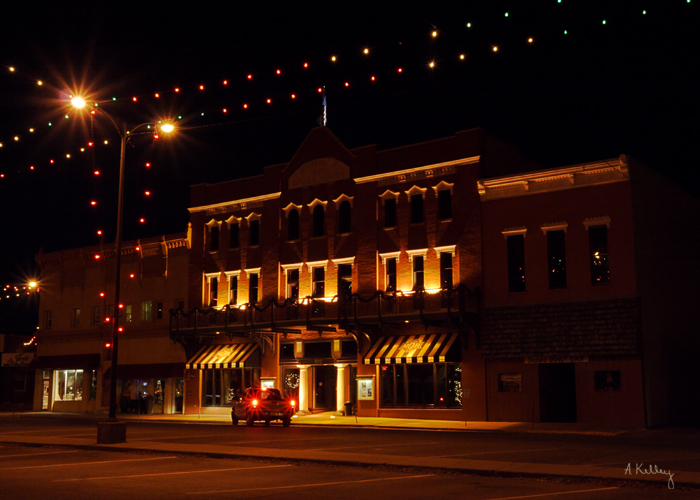 This is the historic Minden opera house. It has been around since 1891. When old buildings are lit up at night, I find they have a warm, romantic charm.